DyCode would held the iOS 6 Professional Training on October 15-19, 2012. This 5 days training is the 1st of our schedulled regular training. We provide a cozy and homy training room in DyCode Office (DyPlex) for this training. If you want to feel the awesomeness of Bandung, we invite you to come here. Get the deep iOS 6.0 training from the trainers who actually code in daily basis and already released apps to the AppStore. It’s hard to find such trainers in Indonesia, but DyCode has them. Our iOS training syllabus is based on Stanford University “iPad and iPhone Application Development” course, that’s officially supported by Apple. Trainees should have programming experience in any languages and frameworks. •	Having actual iOS devices (iPad, iPhone, or iPod Touch) is recommended. •	OS X 10.8 (Mountain Lion). 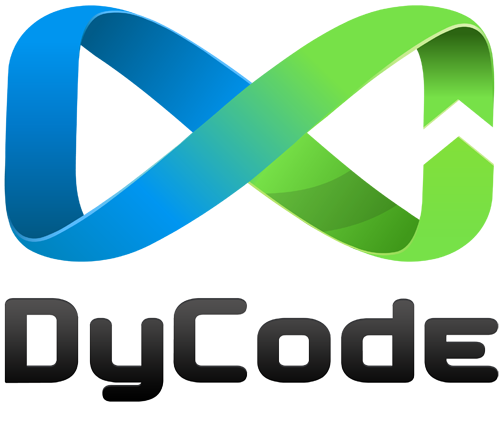 DyCode could also deliver In-house training, by-request Training for team/corporation. We’ll adjusting the training syllabus with the participants demand/need. Either you want to have the training as a team or as individual, we can deliver it for you. On September 15, 2012, Dycode, and Makemac.com as media partner, was delivered an iOS 6 Training at Vio Hotel Pasteur, Bandung. This training was an introduction to the iOS 6 development, which is the operating system for the brand new Apple’s gadget, iPhone 5. DyCode, bersama dengan Makemac.com sebagai media partner, akan menyelenggarakan acara pre-training untuk iOS 6 Development yang diberi nama “Early Adopting iOS 6.” Setelah training ini, para peserta diharapkan bisa membuat satu aplikasi iOS app yang fungsional, sesuai dengan tagline dari acara ini “Go home with your own iOS app!”. Peserta akan dipandu untuk memanfaatkan API yang disediakan Apple untuk membuka semua potensi perangkat iOS dan cara penggunaannya untuk aplikasi yang nantinya akan dibuat. Acara Early Adopting iOS 6 ini akan dilaksanakan pada tanggal 15 September 2012 di Bandung, bertempat di Vio Hotel Jl. Dr. Djunjunan Pasteur No. 154, Bandung, dari mulai pukul 9.30 sampai kurang lebih pukul 16.00. Training ini ditujukan untuk para developer yang sudah terbiasa mengembangkan aplikasi dengan bahasa pemrograman dan framework apapun. Jumlah peserta terbatas. Hanya untuk sekitar 30 orang peserta! Saat ini, pendaftaran peserta sudah ditutup. Untuk yang ingin mengetahui arah atau rute menuju lokasi acara, peta berikut diharapkan bisa membantu. Untuk yang naik travel, naik yang rutenya melewati Pasteur, bisa berhenti tepat di depan Vio Hotel, setelah keluar gerbang tol Pasteur. To maintain our healthy mind, by keeping our body healthy, Dycode has scheduled futsal training (or recreation) for Dycoders. Usual Dycode’s futsal training will be run right after the office hour (about 6.00 p.m.) every Wednesday at the Saluyu Futsal, Sukahaji Bandung. Futsal is the dynamic and exciting small sided indoor game that more and more professional clubs are turning to to develop their players. Futsal is usually played indoors as a five aside game with a smaller and heavier football. It is fun and fast paced. The emphasis is all about Control and Technique. Futsal will help players develop their ball mastery and technical skills and, of course, refresh and develop players reflexes and cognitive skills. Body, mind, all developed in a dynamic game. It’s so Dycode. They guide wheelchair users to the next elevator, track earthquake victims, monitor elections, or provide cash transfer opportunities for unbanked migrant workers. Mobile apps have become a lot more than fancy gimmicks. But what is the world’s best when it comes to mobile content? This year, Indonesian’s Movreak has been nominated for the World Summit Award and will compete for its place among the world’s best mobile content. Being one of the apps that made it through the national pre-selection process, Movreak settled the race in the Mobile National category and may soon rock the international stage. Current version of Movreak only supports data for Indonesia and Singapore. In Indonesia, it’s hard to check daily movie schedule from all cinemas, there is no single dedicated website/portal for such information. Movreak will be your only source of movie and schedule information for all cinemas, both 21 Cineplex and Blitz Megaplex. More countries and cities coming up in the next version. In September, an international jury of renowned IT experts and industry leaders will evaluate the nominated product. Jury members come from all continents and have backgrounds in the creative industries, telecommunication, advertising, journalism and research, as well as in teaching. The jury also includes representatives of international organizations in the ICT-for-development field. “Consequently, it is not a product’s commercial success that matters most for the jury”, emphasizes Peter A. Bruck, Chairman of the WSA Board. According to Bruck, the Grand Jury will judge the value of the content as well as the product’s design and its technical realization. Furthermore, each nominee’s contribution to bridging the digital divide will play a central role for the jury. “WSA-mobile’s goal is to find out what works in different markets and in different parts of the world and what really makes a difference for the people in remote villages and global megacities. We want to show to decision makers what can be done to foster mobile’s potential to create a true information society”, states Bruck. For Indonesian’s producers, the WSA-mobile is a chance to raise global awareness for their products and enter the international stage. Those projects that will come out on top of the Jury’s decision will be invited to the WSA-mobile Winner’s Events taking place February 3rd to 5th 2013 in Abu Dhabi. The event will host an exhibition, offering a platform for the awardees to present their services and projects to potential partners and investors. Furthermore, the event will include a conference attended by renowned experts, opinion leaders and government representatives, turning Abu Dhabi in the hot spot of the mobile world. For enquiries or media partnerships, please contact Mr. Matthias Gruber, gruber@icnm.net, +4366263040835. Dalam waktu singkat, Apple akan mengeluarkan iOS 6.0, versi terbaru dari software iOS yang digunakan di iPhone, iPad, dan iPod Touch. iOS 6.0, generasi paling akhir dari mobile software Apple, telah diperkenalkan versi beta-nya pada bulan Agustus ini, tapi final version-nya baru akan keluar sebentar lagi – dan sejauh yang kami lihat, iOS 6.0 akan memuaskan banyak sekali pengguna iOS. 1. Pre-training for iOS 6.0. Perkenalan pada iOS 6.0 programming, event training selama 1 hari. Untuk pendaftaran serta ketentuan mengikuti Pre-training iOS 6, silahkan klik disini. 2. Regular training for iOS 6.0. Training iOS 6.0 yang diselenggarakan secara periodic, dijadwalkan setiap 2 bulan sekali, paket training selama 5 hari, dilangsungkan di DyPlex (kantor Dycode). Training untuk perusahaan yang diselenggarakan by-request. Dycode akan menyesuaikan kegiatan training dengan apa yang dibutuhkan oleh perusahaan. Dapatkan training iOS 6.0 secara mendalam dari para trainers yang pekerjaan sehari-harinya adalah coding serta telah mengeluarkan banyak aplikasi ke AppStore. Sangatlah susah menemukan trainer dengan klasifikasi seperti itu di Indonesia, tapi DyCode memiliki sejumlah trainer. Silabus iOS training yang diselenggarakan Dycode berdasarkan pada “iPad and iPhone Application Development” dari Stanford University, yang disupport secara resmi oleh Apple. Baik anda ingin mendapatkan training dalam kelompok, atau perseorangan, kami bisa memberikannya pada anda. Catatan: Untuk Regular Training, kami akan tetap memberikan training walaupun peserta yang hadir hanya 3 orang. Peserta harus memiliki pengalaman programming (dalam bahasa atau frameworks apapun). Sangat disarankan memiliki perangkat iOS sendiri (iPad, iPhone, atau iPod Touch). Kami bisa menyediakannya jika anda tidak memiliki perangkat tersebut.